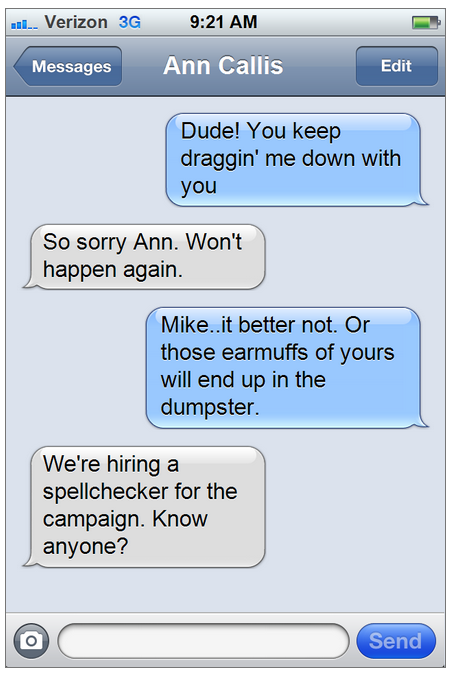 We were sent a screenshot of another round of text messages, this time between what appears to be Democrat candidate for Congress Ann Callis and Democrat candidate for Illinois Treasurer Mike Frerichs. In it, it is clear that candidate Callis has had enough of Frerichs 'dragging her down'. First it was the bad tweet about an event and now it is the voter registration scandal. Have you spotted any other texts from the campaign trail? Send them our way: tipthetruthteam@gmail.com.